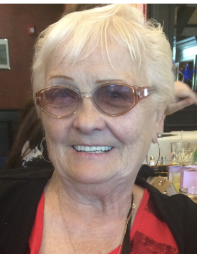 Obituary for Maureen Furlong | Williams Funeral Home, Inc.
Furlong, Maureen. passed away on March 17, 2019. Beloved mother of Thomas Patrick Furlong, Terrence Francis Furlong, Joseph Brian Furlong, Danny Robert Furlong and Tara Ann Zwingman. Loving mother-in-law to Mike Zwingman, Nicol Furlong and Jennifer Furlong. She is also survived by her loving grandchildren who she adored. Family will receive friends at Williams Funeral Home, Inc. 5628 Broadway @ W 232 St, Bronx NY. on Thursday from 2-5 & 7-9 P.M. Mass of Christian burial on Friday, March 22, 2019 at St. John-Visitation R.C. Church at 10 A.M. Interment to follow at St. Raymond's Cemetery, Bronx, NY. Please be sure to leave your memories, messages or photos in the GUESTBOOK. Just click the guestbook box below the photo. Thank You!